Balloons scream party! 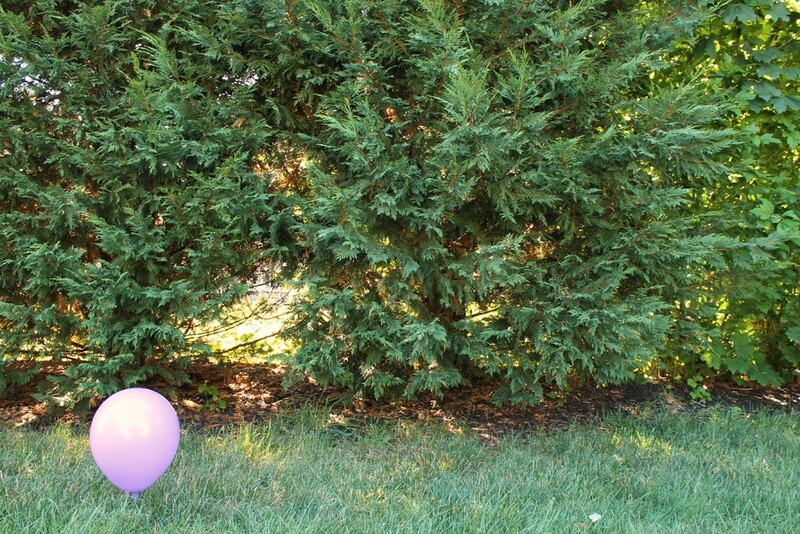 Balloons come in all colors and prints so they can perfectly match your party’s theme. You hang balloons on the mailbox to tell out of town guests where the party is at. You add balloons to centerpieces to bring height to the tabletops. You create fun arches with balloons when walking through a doorway. 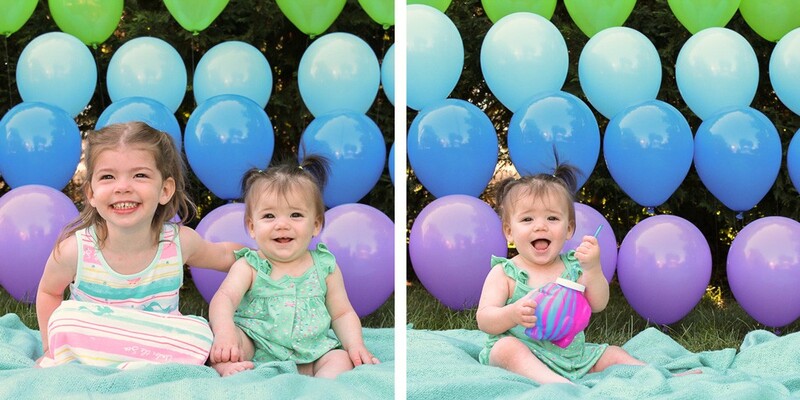 Now you can create a fun wall of balloons to use as a backdrop for your next party using golf tees! Tara from Spot of Tea Designs styled and photographed this backyard backdrop. While the weather is warmer take your party outside and set up the perfect photo op spot. 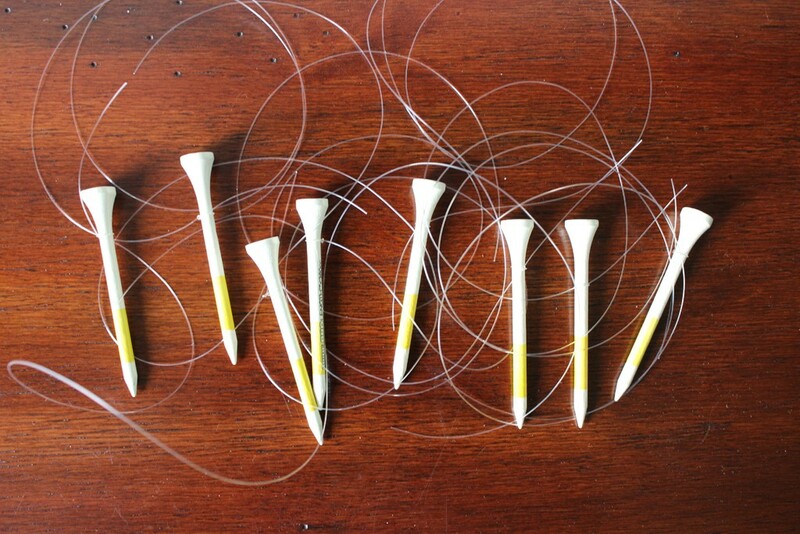 To create the first row, tie the same length of fishing line to golf tees. 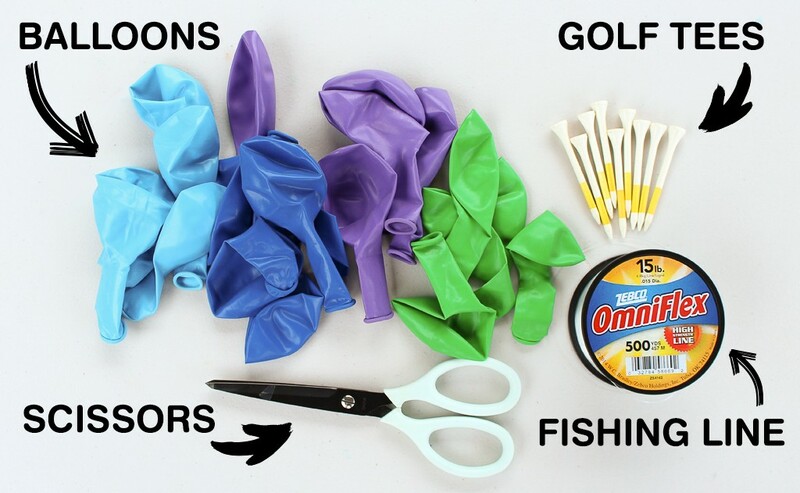 Next, blow up the balloons with the helium tank and tie to the other end of the fishing line. 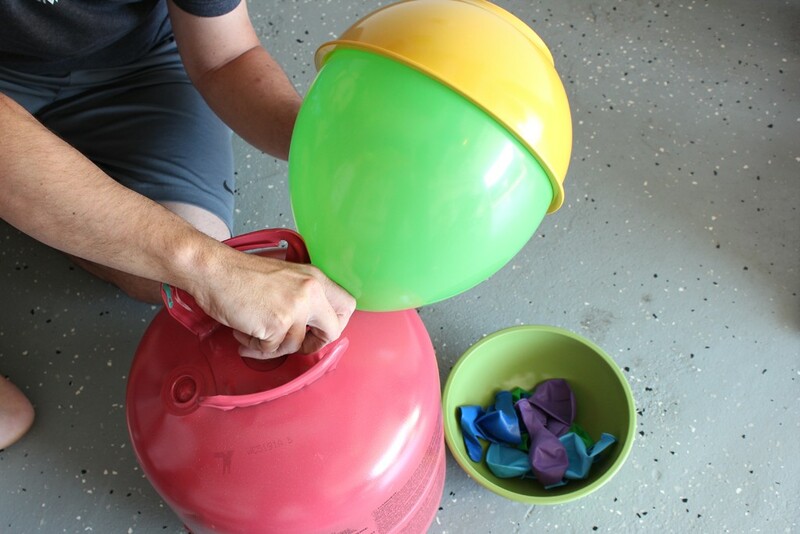 To get consistent balloons sizes, blow up the balloon and use a large bowl as a guide. Insert the golf tee in the ground. 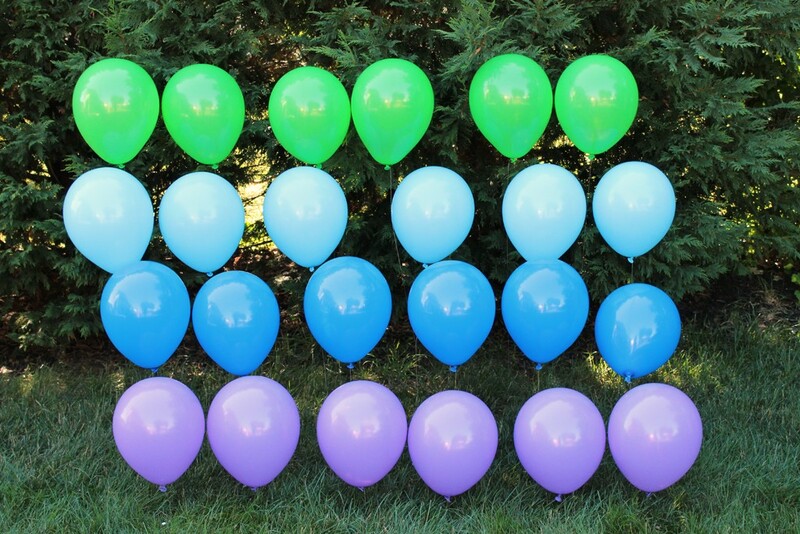 Repeat above steps with more balloons to create a row of balloons that are all the same height. 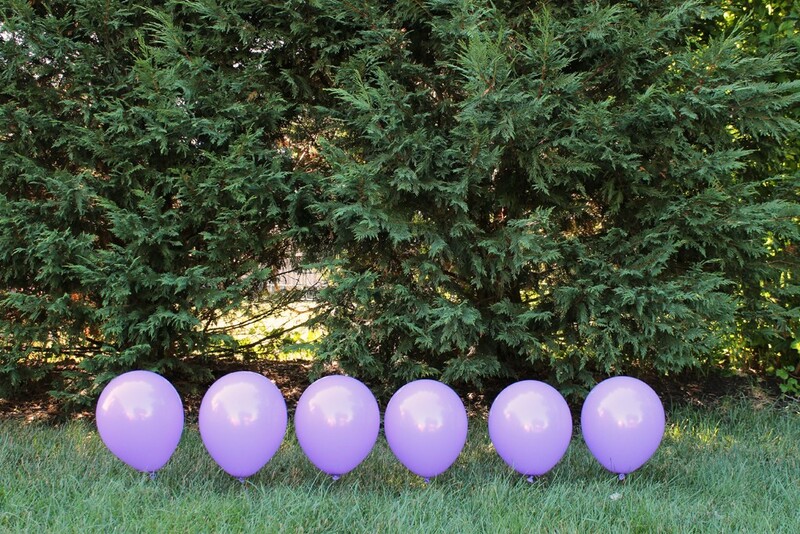 Repeat above steps with more balloons and a different length of fishing line to create additional rows. 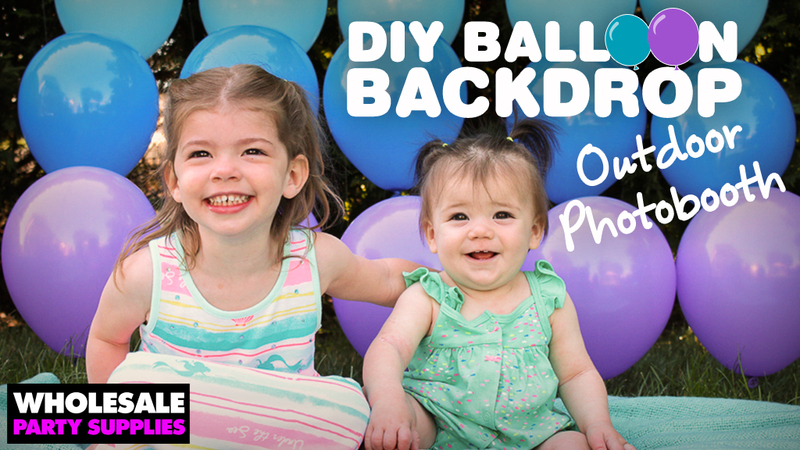 Once complete your wall of balloons is ready for some fun! Use as a backdrop for birthday party invitations, pair with photo props to use at the party or use behind your coordinated candy buffet when sending guests home! In any case, this easy DIY project is perfect for adding a pop of color and fun to your outdoor party space! 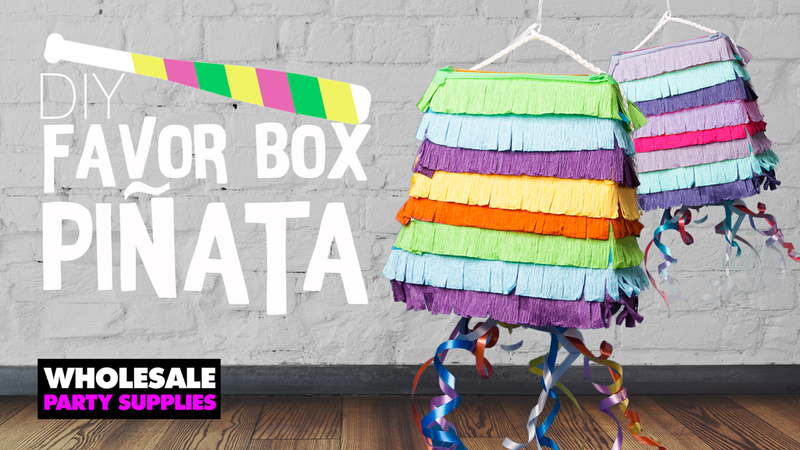 Are you setting up a photo booth at your next party? Show us your favorite way to capture memories of the occasion. Share pics with us on Facebook, Twitter, and Instagram!